Service offers the chance to look beyond yourself, beyond your own needs and wants. 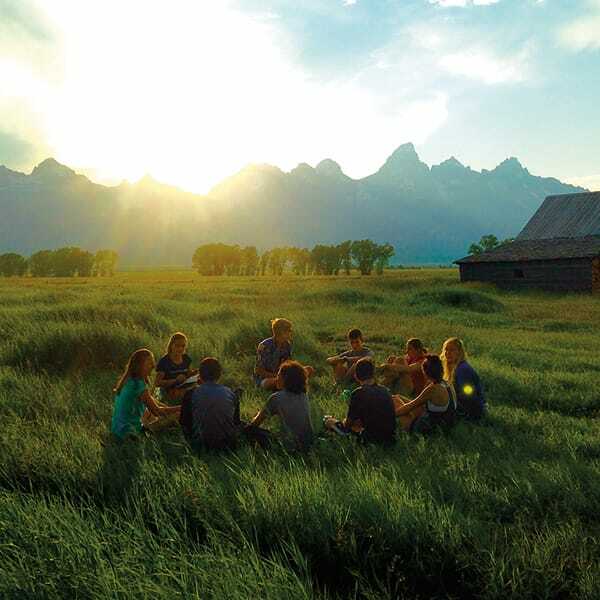 Service high in the Rockies multiplies these values as the landscape itself—the big sky, the distant views, the snow-capped mountains—naturally leads to feelings of connection, both to the landscape, and to those you share it with. Service, friends and fun in Colorado’s high country. Perched at 10,152 feet, Leadville, Colorado is a dynamic, high-alpine community in the heart of the Rockies. Leadville serves as an ideal base for two weeks of active exploration and meaningful environmental engagement. We’ll help a local conservation group in its efforts to provide healthy affordable food options for the Leadville community. Next we will focus on trail-building and reconstruction, partnering with a professional trail crew with the help of local volunteers and learning new skills as we work to improve Leadville’s trail system. As we gain confidence on the trail and grow closer as a group, we’ll see the power of our combined efforts and feel the accomplishment of making a lasting impact. When our work is done, we’ll venture into the backcountry. We’ll explore Colorado’s rugged alpine landscapes, traversing spectacular passes with views of Mt. Elbert and Mt. Massive. 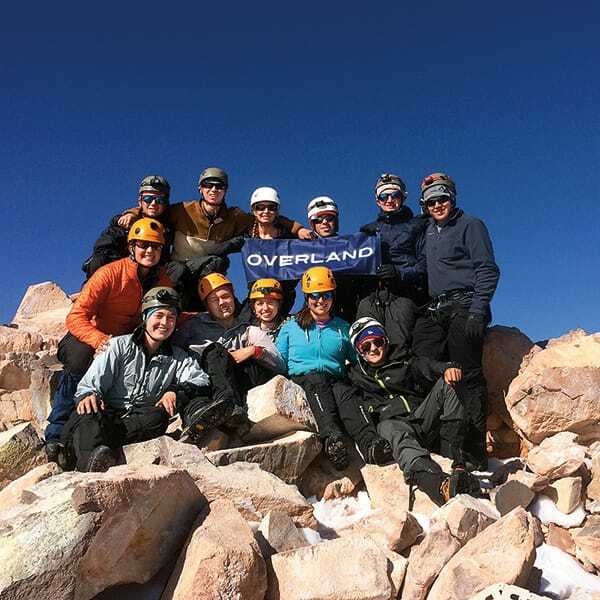 The backcountry offers us the opportunity to be fully present in our surroundings and with our group–it’s Overland at its best. Our three days in the backcountry will also give us the chance to use the trails we’ve helped build and reconstruct for so many hikers. Next, we’ll hit the water for a two-day rafting excursion out of Buena Vista. With professional guides at the helm, we’ll explore a section of the Arkansas River through Brown’s Canyon. Dynamic and fun, our time on the water will provide us with a new perspective on the Colorado landscape. At trip end, we’ll look back on two weeks of environmental engagement and exploration. More than that, though, we’ll have felt and shared the satisfaction of working together towards a common goal. With our trip mates and leaders, we’ll have made a lasting and important impact on the land we explored–and we’ll have made lasting and important friendships with each other. My favorite part of the trip was working with the Colorado Fourteeners Initiative and seeing the sunrise from the top of Hope Pass in the Twin Lakes Wilderness. Experience the magic of the Rocky Mountains through exploration, teamwork and new friendships. We’ll meet in the Denver Airport spend the first night on the gorgeous Dillon Reservoir at Prospector Campground to get acclimated. We’ll learn about the high-mountain community, get to know one another and cook our first meal together. On our second day, we will drive the rest of the way to Leadville and stretch our legs on a beautiful day hike, gearing up for our service work. We’ll head into our first backcountry with a local trail crew. After setting up a base camp on Mt. Elbert itself, we will preserve and create trails on one of the state’s highest peaks. With our crew leaders, we will learn the basics of trail maintenance, and work to minimize visitor impact, restore natural habitats and manage water drainage. After our hard work, we’ll relax and explore our astonishing high-mountain surroundings. With some backcountry experience under our belt, we’ll backpack near the historic Twin Lakes region with astonishing views of Mt. Elbert and Massive, sleep in backcountry campsites and explore the magnificent wilderness Colorado has to offer. Our trek will bring us to the top of Hope Pass (12,508’) and through historic remnants of old mining communities. We’ll refine our backcountry skills as we get a chance to learn more about the area’s history and appreciate trails similar to those we’ve worked on. 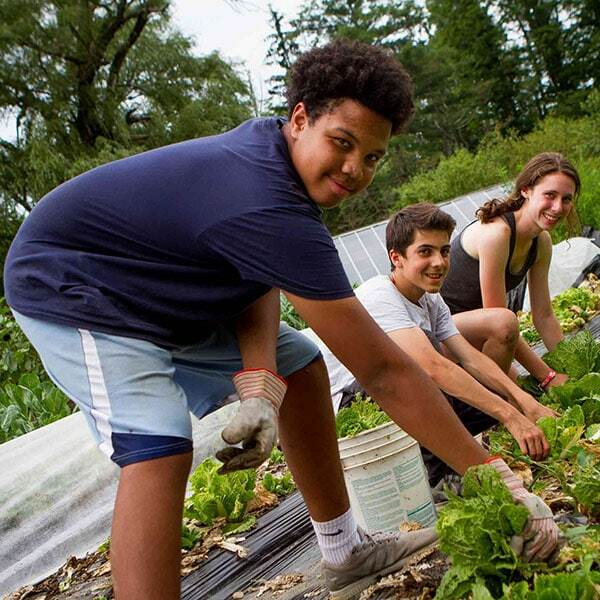 construct raised garden beds and establish trails to and from nearby schools and sports fields that position the farm in the center of the town’s goings ons. We’ll make the short drive to Buena Vista to meet our rafting guides before beginning our excursion. We will raft with our professional guides down the Arkansas River, getting a chance to experience the popular and gorgeous Brown’s Canyon. After a day on the water, we’ll camp on the beach, enjoy views of the surrounding “14er’s” and hope to see some of Colorado’s wildlife. After rafting, we’ll return to the Denver area to celebrate two weeks of exploration, service and accomplishment in the high mountains. 7 nights of frontcountry camping with access to toilets and periodic access to showers and formal facilities. 5 nights of backcountry camping with no access to bathroom facilities. What is the weather and environment like on Service & Hiking Colorado? The weather on Service & Hiking Colorado varies. In the mountains, the weather can change quickly and afternoon showers are common. Sometimes it is sunny and warm while other times it is rainy and cold. Summer temperatures in Colorado range from the 50s to the 70s during the day and are cooler at night. You will need to arrange transportation for your child to and from Denver International Airport (DEN) at trip start and trip end. We will provide more specific travel information once we have placed your child on a trip. Work on trails, backpack and raft in Colorado's Rocky Mountains. On Service & Hiking Colorado, you will spend three days backpacking and do some additional hiking to and from your trail work campsite. You will hike over rolling terrain, following trails that may be rough, muddy and overgrown. While backpacking, you will carry all of your belongings (clothes, sleeping bag and pad), some group gear, food and water. Typically when backpacking, pack weights average about 30% of a hiker's weight. In the month before your trip, you should break-in your hiking boots (wear them a lot!) and complete the pre-trip training (see below). Once on your trip, you'll find that enthusiasm and a positive attitude will help to make the trip a success for you... and for everyone in your group.